The Strawberry Protein Bomb has vanilla spirutein, banana, strawberry and enriched original rice milk. Perfect mix to make you feel healthy and happy. If you’re looking for a boost in your day, the Carrot Bomb hits the spot. 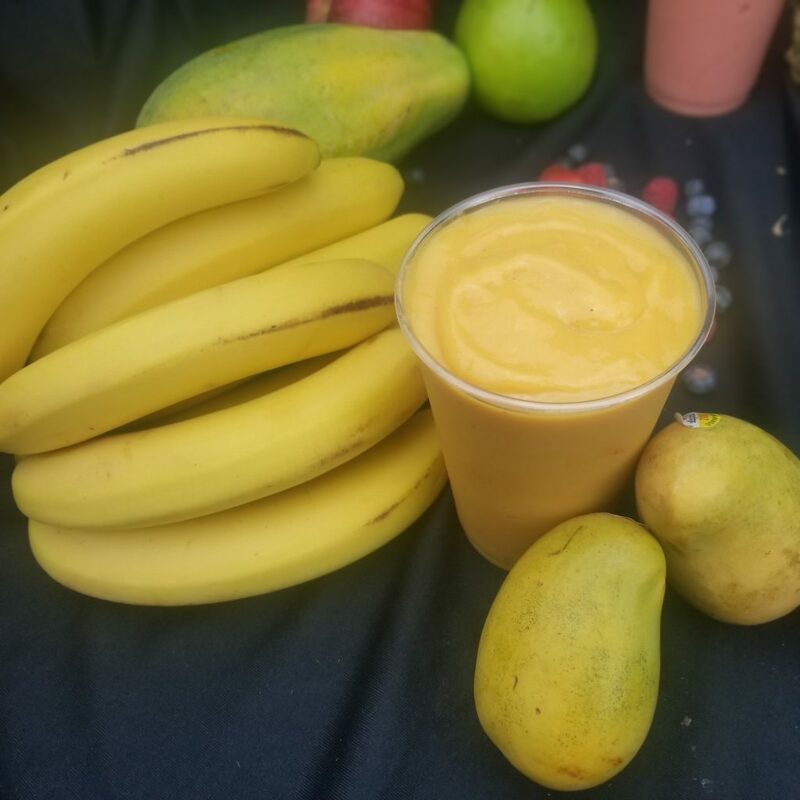 A combination of vanilla spirutein, banana, papaya, and fresh carrot juice makes this smoothie complete. The Strawberry Smoothie is made of strawberry, banana, and apply juice. Its the perfect pink addition to your day. 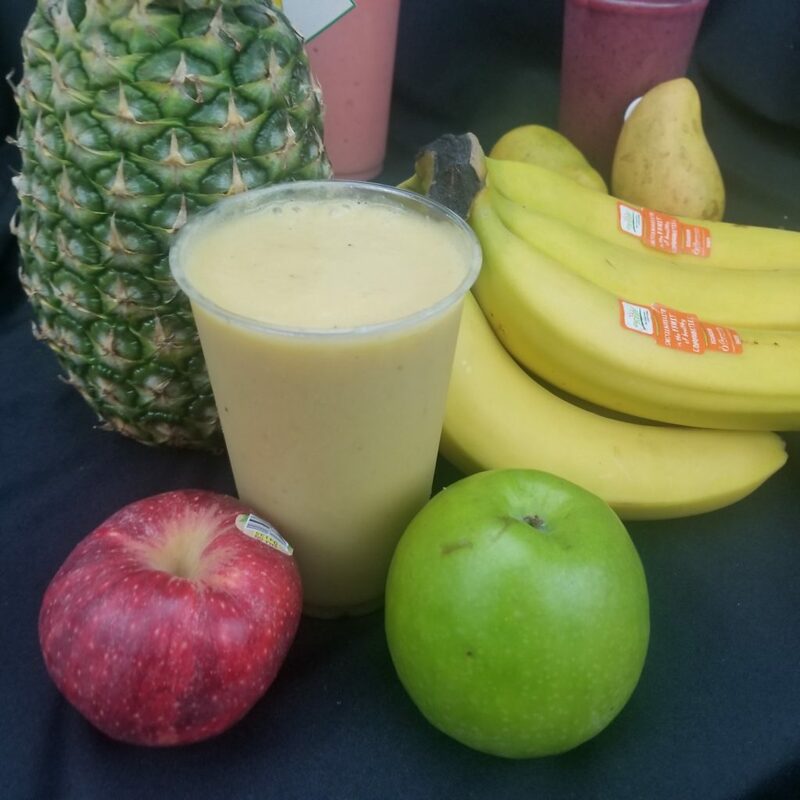 The Green Flame Smoothie contains nutritious organic products such as spirulina, banana, papaya, strawberry, ginger, and apple juice. The spirulina combined with all the delicious fruits have benefits such as an increase in anti-oxidants and anti-inflammatory elements. 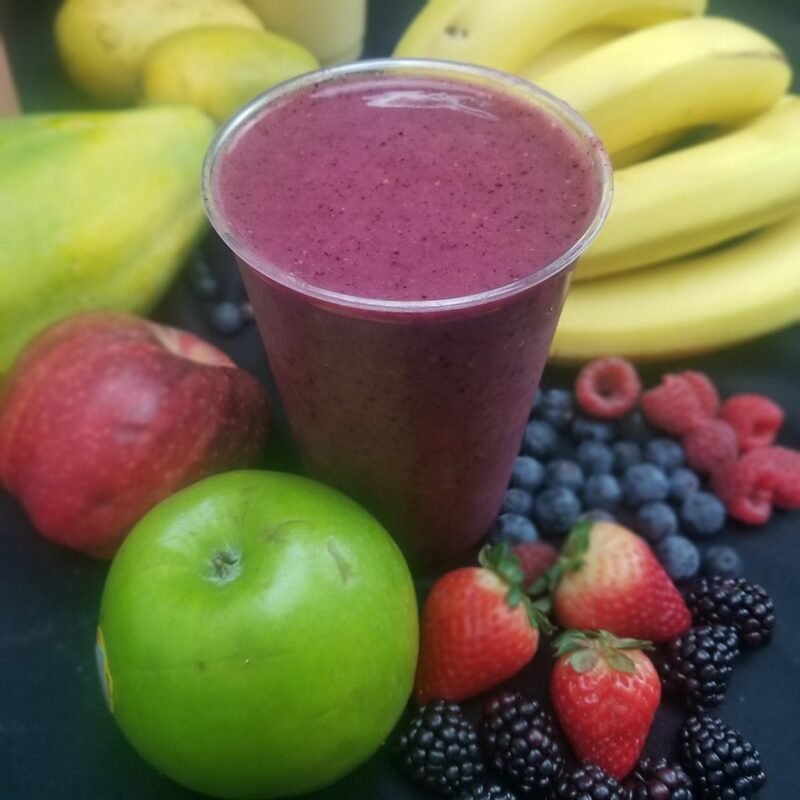 Bee Buzz is one of our favorite smoothies at PC Greens. With the combination of bee pollen, banana, strawberry, and apple juice, Bee Buzz is loaded with different health benefits. 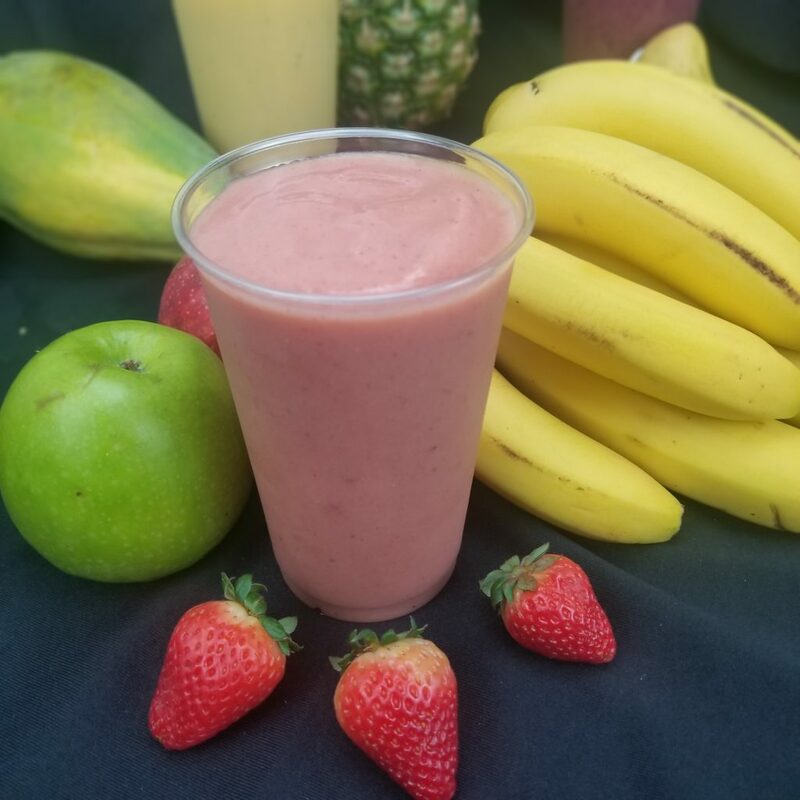 The Guavaberry Smoothie is a delicious juice that includes banana, strawberry, blueberry, blackberry, raspberry, and guava puree.